Who said you can’t walk on water? Well water Zorbing is the solution. 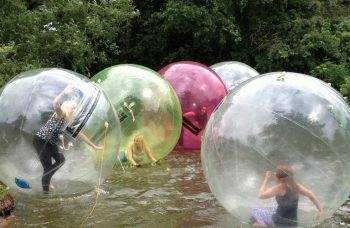 Challenge yourself to walk, run or even just to stand on water with this amazing water Zorbing experience. Zorbing is suitable for all ages and abilities and unlike other attractions in Ireland, you always stay dry. €5pp – Payable on the day.